This paper estimates lake and reservoir volume variations over all continents from 1984 to 2015 using remote sensing alone. This study improves on previous methodologies by using the Global Surface Water dataset developed by the Joint Research Centre, which allowed for volume calculations on a global scale, a high resolution (30 m) and back to 1984 using very detailed lake area dynamics. Using 18 in situ volume time series as validation, our volume estimates showed a high accuracy. We investigated the management of long-term environmental pollution by organochlorine pesticides. We selected the case of chlordecone on the island of Martinique. 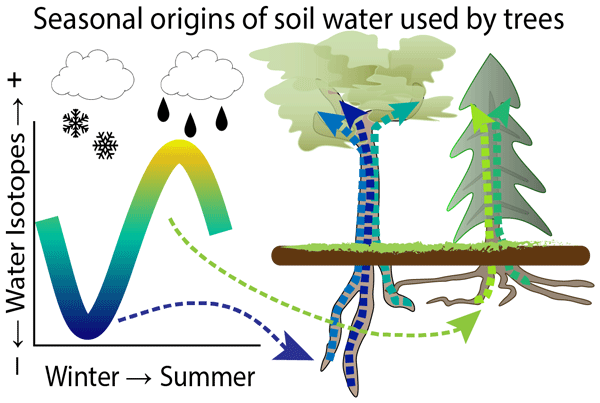 We propose a conceptual model of organochlorine fate accounting for physical conditions relative to soils and geology. 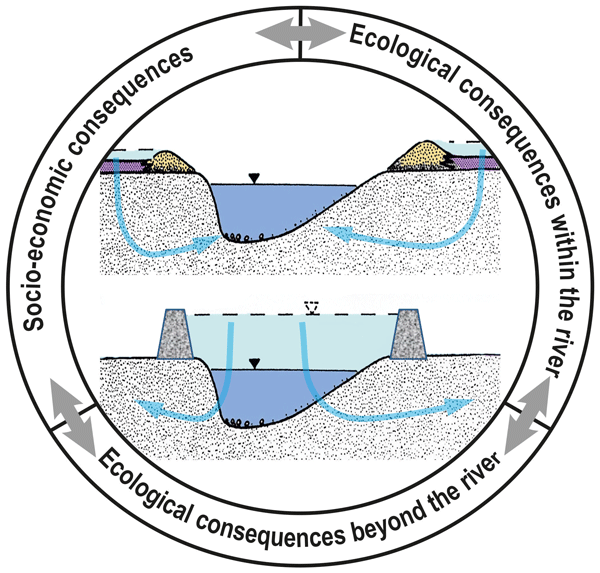 This model explains pollution variability in water but also the dynamics of pollution trends. It helps to identify risky areas where pollution will last for a long time and where more attention is needed. Groundwater depletion in India has been a much-debated issue in recent years. Here we investigate long-term, spatiotemporal variation in prevailing groundwater recharge rates across India. Groundwater recharge rates have been estimated based on field-scale groundwater-level measurements and the tracer injection approach; recharge rates from the two estimates compared favorably. The role of precipitation in controlling groundwater recharge is studied. This paper explores a new method of predicting streamflow using a complex model. It makes use of streamflow observations to reduce an existing ensemble of model runs for predictive purposes. The study illustrated that the method could work given the proper constraints, which were only possible if there was enough knowledge about how the river responded to precipitation in the previous months. Ideas were discussed to allow the method to be used in a way to predict future streamflow. In areas of enigmatic hydrology, water scarcity, and transboundary water resources, management strategies should rely on comprehensive modeling which must be based on realistic geometry, including all relevant structural features. 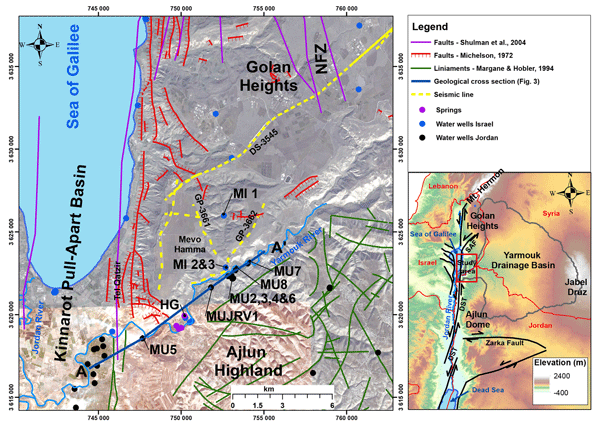 Based on available geophysical and geological data, a new faulting pattern in the Lower Yarmouk Gorge is suggested as a basis for hydrogeological modeling. Furthermore, unexpected pull-apart basin rim fault evolution is discussed in the context of tectonic collision. 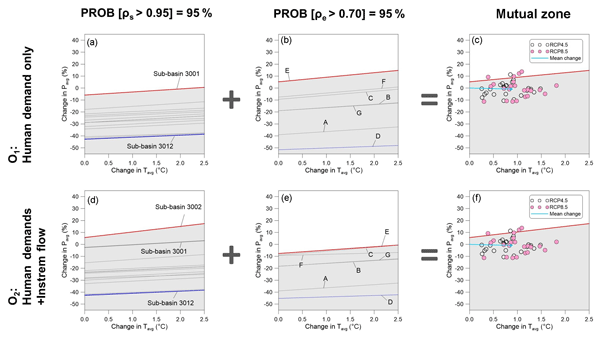 Bias correction methods are used to calibrate climate model outputs with respect to observations. 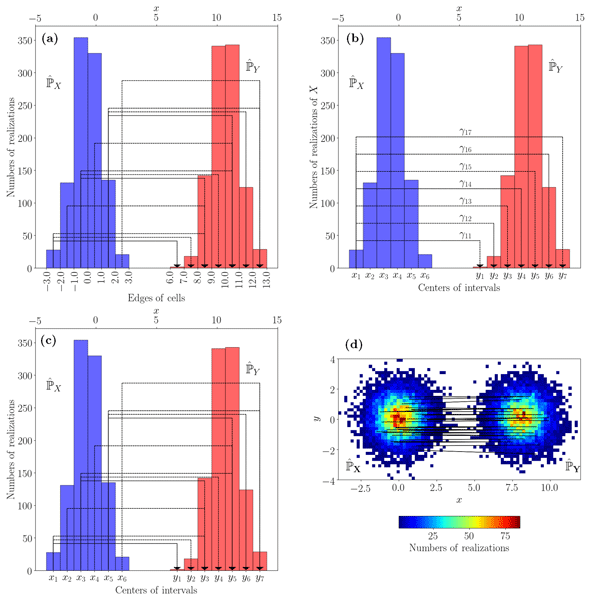 In this article, a non-stationary, multivariate and stochastic bias correction method is developed based on optimal transport, accounting for inter-site and inter-variable correlations. Optimal transport allows us to construct a joint distribution that minimizes energy spent in bias correction. Our methodology is tested on precipitation and temperatures over 12 locations in southern France. Supported by large-sample ecological observations, a novel, simple and topography-driven runoff generation module (HSC-MCT) was created. The HSC-MCT is calibration-free, and therefore it can be used to predict in ungauged basins, and has great potential to be generalized at the global scale. Also, it allows us to reproduce the variation of saturation areas, which has great potential to be used for broader hydrological, ecological, climatological, and biogeochemical studies. 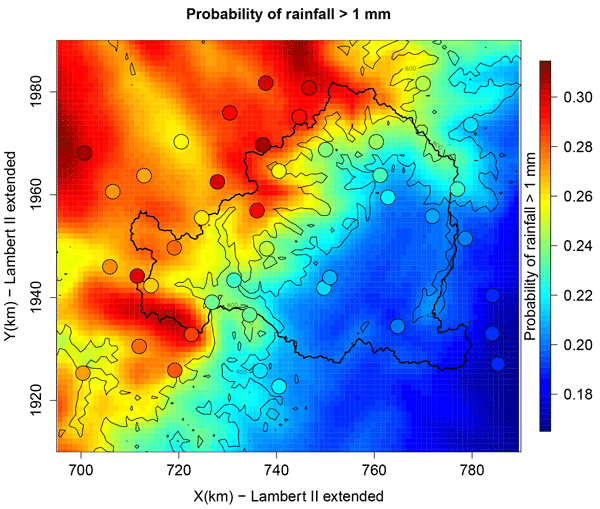 We propose an objective framework for estimating rainfall cumulative distribution functions in a region when data are only available at rain gauges. Our methodology allows us to assess goodness-of-fit of the full distribution, but with a particular focus on its tail. It is applied to daily rainfall in the Ardèche catchment in the south of France. Results show a preference for a mixture of Gamma distribution over seasons and weather patterns, with parameters interpolated with a thin plate spline. ENSO-related changes in daily precipitation regimes are currently ignored by the scientific community. We analyzed the anomalies of daily precipitation and hydrological extremes caused by different phases of ENSO events, as well as the possible driving mechanisms, to reveal the influence of ENSO on China's daily precipitation regimes. Our results provide a valuable tool for daily precipitation prediction and enable the prioritization of adaptation efforts ahead of extreme events in China. Potential evaporation (Ep) is the amount of water an ecosystem would consume if it were not limited by water availability or other stress factors. 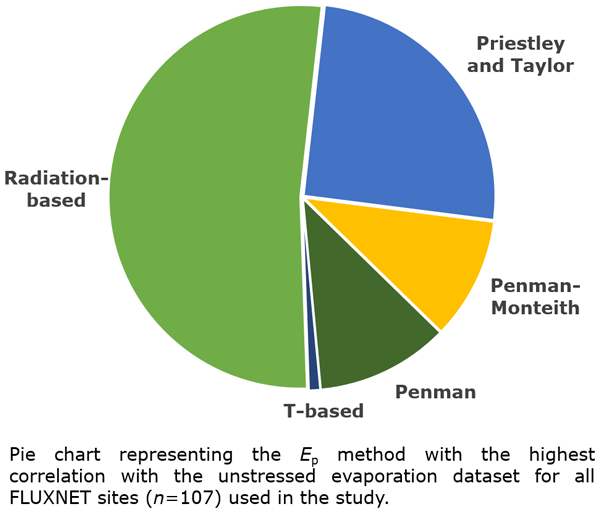 In this study, we compared several methods to estimate Ep using a global dataset of 107 FLUXNET sites. 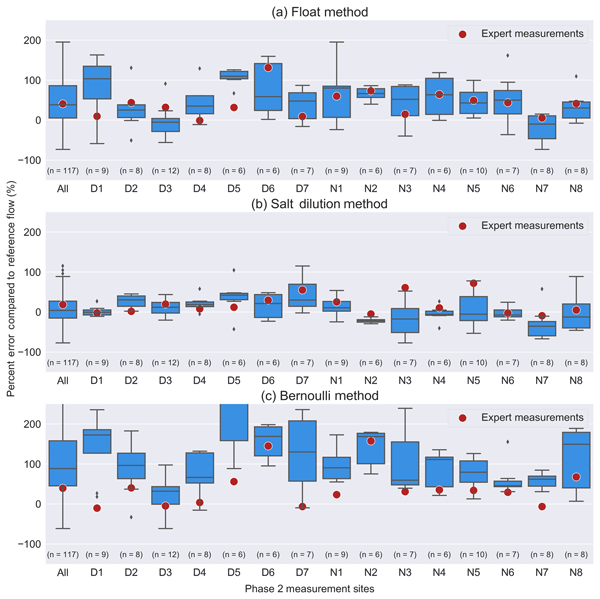 A simple radiation-driven method calibrated per biome consistently outperformed more complex approaches and makes a suitable tool to investigate the impact of water use and demand, drought severity and biome productivity. 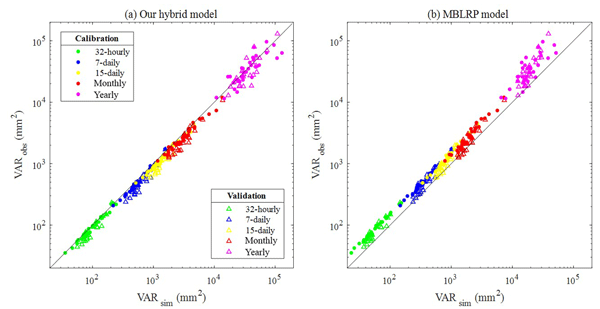 This study proposes a simple but efficient model for estimating daily evapotranspiration considering heterogeneity of mixed pixels. In order to do so, an equation to calculate evapotranspiration fraction (EF) of mixed pixels was derived based on two key hypotheses. 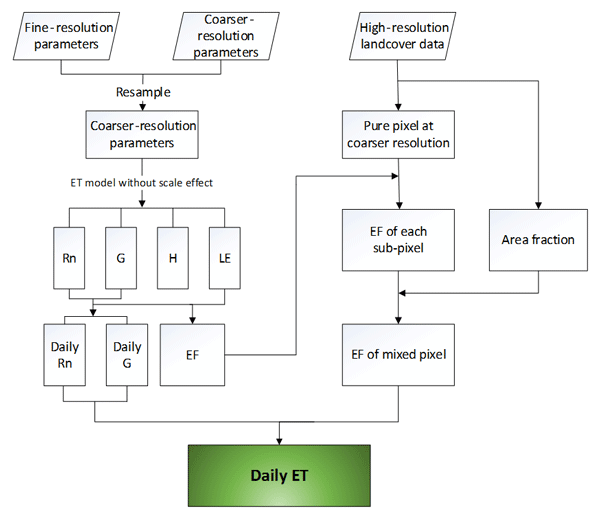 The model is easy to apply and is independent and easy to be embedded in the traditional remote sensing algorithms of heat fluxes to get daily ET. Rainfall data are often unavailable for the analysis of water-related problems such as floods and droughts. In such cases, researchers use rainfall generators to produce synthetic rainfall data. However, data from most rainfall generators can serve only one specific purpose; i.e. one rainfall generator cannot be applied to analyse both floods and droughts. To overcome this issue, we invented a multipurpose rainfall generator that can be applied to analyse most water-related problems. We present a data-driven approach created to explore the full information of data sets, avoiding parametric assumptions. The evaluations are based on Information Theory concepts, introducing an objective measure of information and uncertainty. 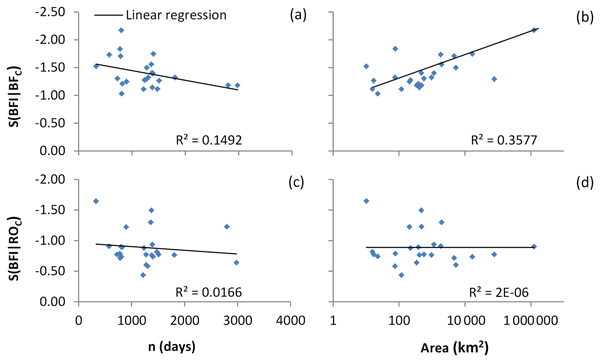 The approach was applied to automatically identify rainfall-runoff events in discharge time series, however it is generic enough to be adapted to other practical applications. Wise management of water resources requires data. Nevertheless, the amount of water data being collected continues to decline. We evaluated potential citizen science approaches for measuring flows of headwater streams and springs. After selecting salt dilution as the preferred approach, we partnered with Nepali students to cost-effectively measure flows and water quality with smartphones at 264 springs and streams which provide crucial water supplies to the rapidly expanding Kathmandu Valley. 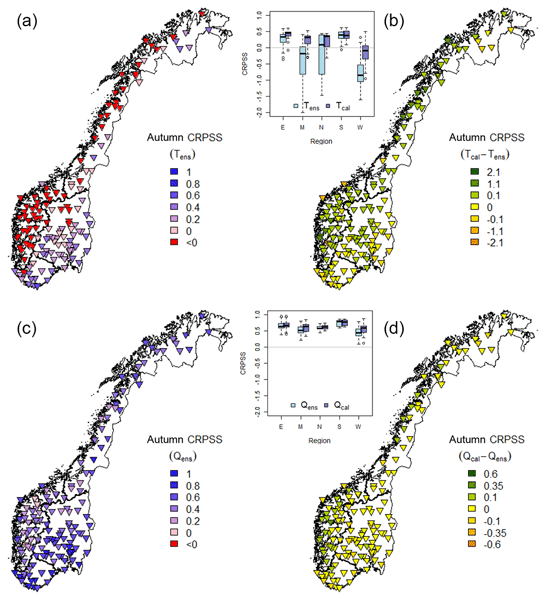 The risk estimation of precipitation events with high recurrence periods is difficult due to the limited timescale with meteorological observations and an inhomogeneous distribution of rain gauges, especially in mountainous terrains. 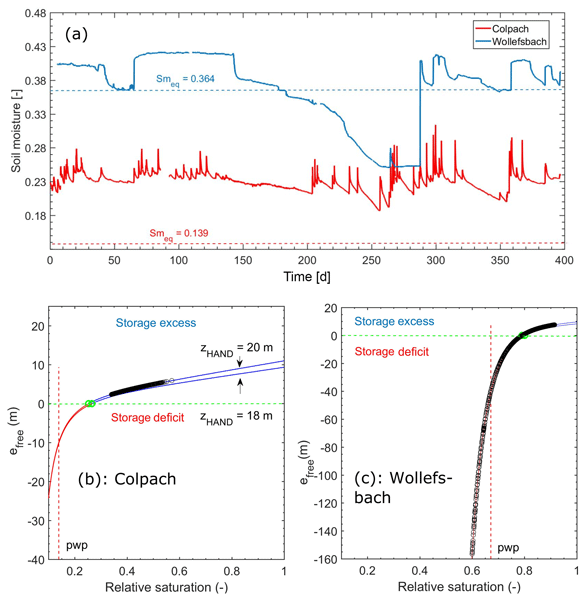 In this study a spatially high resolved analytical model, designed for stochastic simulations of flood-related precipitation, is developed and applied to an investigation area in Germany but is transferable to other areas. High conformity with observations is found. This paper analyzed the sensitivity of the baseflow index to the parameters of the conductivity two-component hydrograph separation method. The results indicated that the baseflow index is more sensitive to the conductivity of baseflow and the separation method may be more suitable for the long time series in a small watershed. 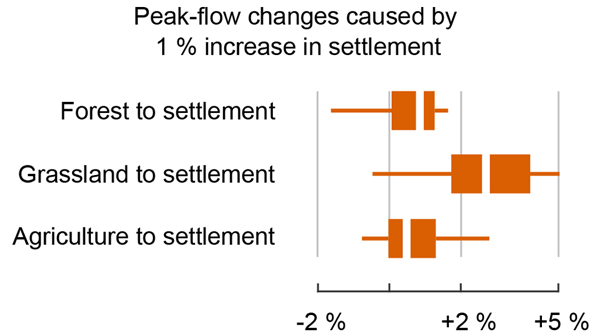 After considering the mutual offset of the measurement errors of conductivity and streamflow, the uncertainty in baseflow index was reduced by half. The main objective was to calibrate and validate the eco-hydrological model Soil and Water Assessment Tool (SWAT) with satellite-based actual evapotranspiration (AET) data for the data-sparse Ogun River Basin (20 292 km2) located in southwestern Nigeria. 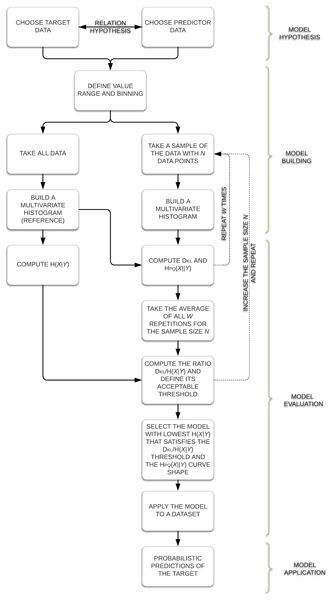 The SWAT model, composed of the Hargreaves PET equation and calibrated using the GLEAM_v3.0a data (GS1), performed well for the simulation of AET and provided a good level of confidence for using the SWAT model as a decision support tool. In this study, we proposed an approach for gauging the risks of non-successful water supply and environmental reliabilities varying across a large river basin. The proposed method enables the measurement of system robustness to climate change with consideration of conflicting stakeholder interests. We simply converted the expected system performance under climate stresses into binary outcomes and applied them to the logistic regressions. A case study for a South Korean river basin is provided. 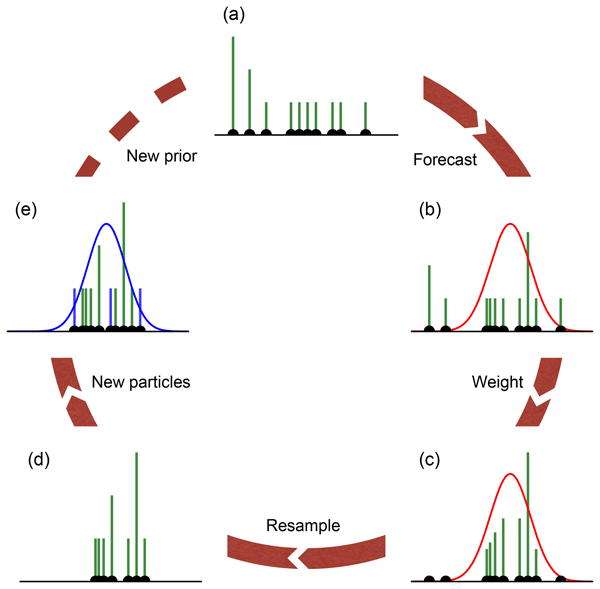 Particle filters are becoming popular for state and parameter estimations in hydrology. 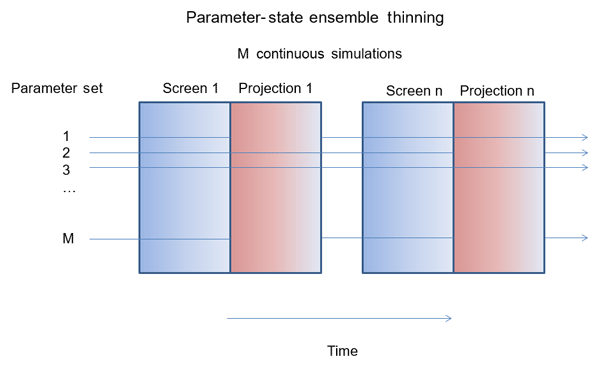 The renewal of the ensemble (resampling) is crucial in preventing filter degeneration. 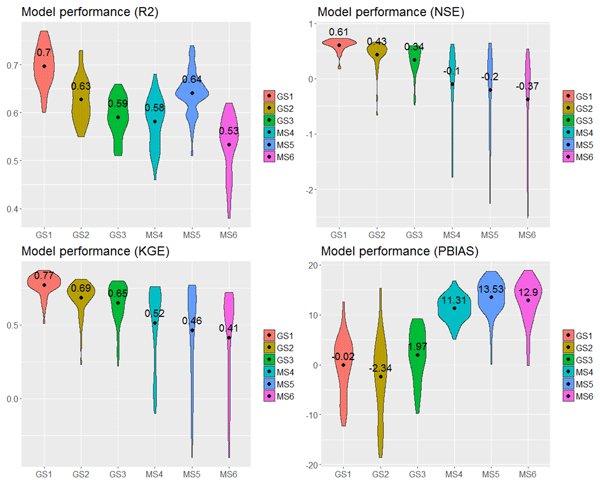 We introduce a resampling method that uses the weighted covariance of the ensemble, which contains information between observed and unobserved dimensions, to generate new ensemble members. This allows us to estimate the state and parameters for a rough initial guess in a synthetic hydrological case with just 100 particles. There currently is no standardized approach for measuring dew formation, making it difficult to compare its frequency and importance across ecosystems. Recently, canopy surface temperature data from 30 sites in the US were measured continuously using in situ infrared radiometers. The analysis presented here provides the first continental-scale standardized synthesis of dew formation. This work provides a basis for considering how changing climate and land use will influence dew formation.